Hsu Chicheng, a distinguished contemporary Taiwanese poet, writer and translator, Native of Pingtung County, Taiwan; born in 1939; LLB of Soochow University. He was once an editor, a journalist, a military judge, a teacher as well as part-time director, leading member or guiding teacher to some mass organizations of art and literature. He has now retired. From his childhood, he is fond of literature and writing. Since 1960 he started to publish his works, most of his works are poems and prose, mainly depicting native land, idyllic life and nature, singing the praise of the brilliant side of human experience, based on humanity to encourage people to brace themselves up and be bent on doing good deeds. He has published 21 books including 10 collections of poems. Many of his poems have been translated into English, Japanese, Greek, Mongolian, Hebrew, Russian, French, Portuguese, Maltese and recorded in near hundred selections of poems. His poems, prose works and plays have won prizes for times. He was conferred an honorary doctorate of literature and one of the international best poets 2004 by The International Poetry Translation And Research Centre, was conferred also an honorary doctorate of literature by The U.S. World Academy of Arts and Culture, was conferred also a doctor honoris causa in humanities as well as the best translator from English to Chinese by The International Writers and Artists Association and was presented the commemorative prize by Literary Club “Xasteron”, Greece, was presented also the honour prize by Naji Naaman’s Literary prizes, Lebanon. Moreover, he was nominated for Nobel Prize in Literature, 2014. He now specializes in reading and writing. 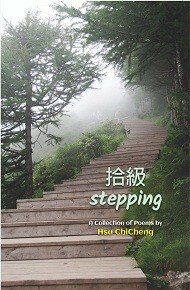 Most of his poems are published in Chinese, English, Greek, Japanese or Mongolian both at home and abroad. He is at present the part-time adviser of Large Ocean Quarterly, editor of Chinese Modern Poetry Quarterly and special editor-in-chief of The World Poets Quarterly. He is member of International Writers and Artists Association, honorary member of Literature Club “Xasteron”, Greece.